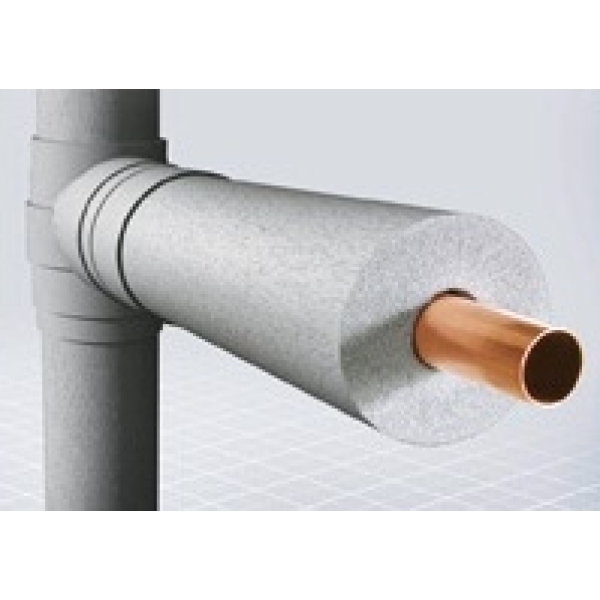 Tubolit pipe insulation is high quality CFC and HCFC free, silver grey in colour and is made of flexible closed cell polyethylene. Tubolit is particularly effective for the thermal insulation of domestic heating and plumbing pipe work, for energy conservation and frost protection. As Tubolit is so flexible, this makes it easy to install. It is not fibrous and creates no dust during installation or use. Tubolit has an ODP of zero and is manufactured to BS EN ISO 9001:2000 quality standard and environmental standard BS EN ISO 14001:1996.